Everyone witnessed the tirade. 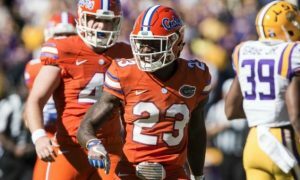 There has been hours upon hours of back and forth in the discussion as to whether Florida Gators head football coach Jim McElwain was appropriate in his temper-tantrum tongue lashing of running back Kelvin Taylor last Saturday when the Gators escaped “The Swamp” with a narrow victory over East Carolina. I’m here to tell you, he was absolutely right in his actions. 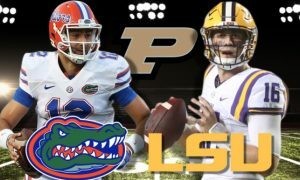 The Gators haven’t mattered in the grand scheme of college football’s elite since Urban Meyer “retired” due to health reasons, only to resurface two seasons later at The Ohio State University. Let’s be blunt. McElwain is not Will Muschamp, and thank goodness. McElwain is trying to undo the damage of a four-year debacle in which his predecessor was basically asleep at the wheel and in over his head. What was once acceptable to a coach who never had control of his program, is no longer acceptable when you are trying to rebuild AND compete. I’m pretty sure the throat-slashing gesture was outlawed in the National Football League several seasons ago, even if Kelvin’s father and former Gator running back, Fred Taylor, has enjoyable memories of the gesture. That type of activity is no longer acceptable at the University of Florida. McElwain’s job is simple: return the Gators to the success they enjoyed under Meyer’s era at the reigns. McElwain knows first hand how successful football programs operate. He comes from the Nick Saban tree of coaches. Say what you will about Saban and his less than stellar track record with his employers and keeping his word, the man wins wherever he goes in college football. McElwain even turned a dormant Colorado State football program into something enjoyable to watch in the Mountain West Conference during a brief coaching stay. 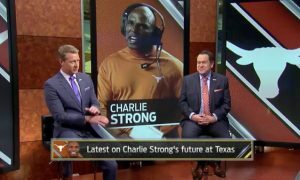 For anyone to say that McElwain was in the wrong for holding his player accountable, whether it’s on national television, in front of the home crowd of 90,000 fans, or if it’s in the locker room, doesn’t know a thing about winning, or being a part of a winning program year-in and year-out. The day college football players’ feelings come before that of the bigger goal: winning with class and dignity, then NCAA football just became the National Football League sans the large contracts. Jim McElwain made his voice heard. He has since stated that he regrets getting so worked up. I say kudos to you coach, and keep doing what you’re doing. You’re in the business of rebuilding a storied football program and staying competitive. You’re in charge of shaping young men not only into solid football players, but productive citizens, and if that means berating them for something that should be well below the standards of Florida Gators’ football, then so be it. Kelvin Taylor I’m positive, wasn’t the first player during the McElwain era to have his ears warmed for acting a fool, and I’m sure he won’t be the last. It all goes back to the old coaches saying: “The day the players run the show at the amateur level, is the day coaches are no longer needed.” In this case, Jim McElwain’s actions couldn’t ring a truer note.